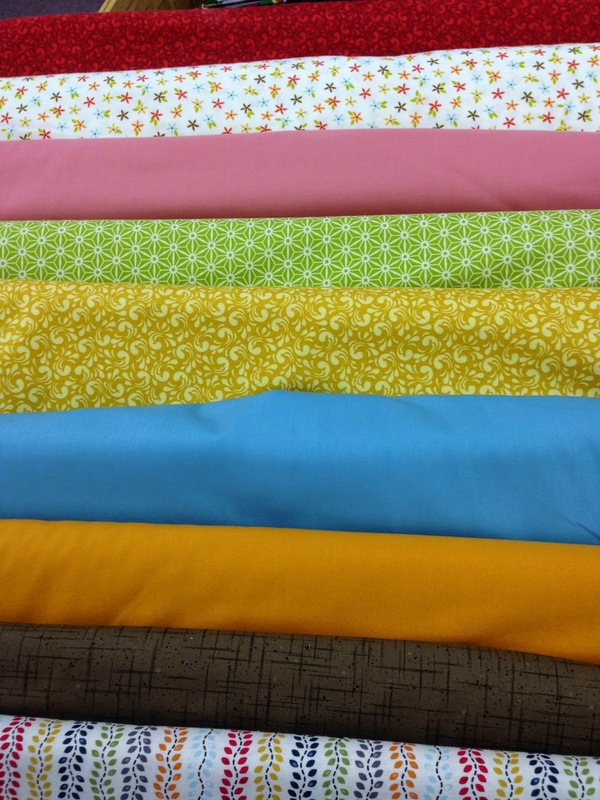 I really, really, really would like a bit more of this fabric! I used up all that I had when I was cutting these diamond shapes. Unfortunately, I forgot that when I cut them on 2 thicknesses with wrong sides together, half of the diamonds have lines running a different direction. So instead of having just enough, I am now short. I don't know for sure where I bought it, nor who made it, but if it looks familiar to someone out there, please leave a comment. 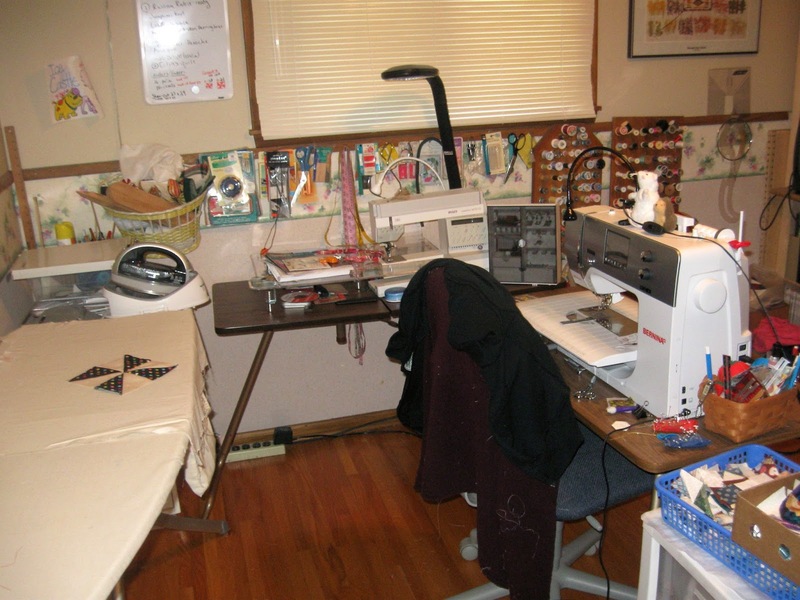 Now, on to the real business here--- another sewing room visit! My co-worker, Eileen, has shared these pictures. Eileen has a good sense of humor! 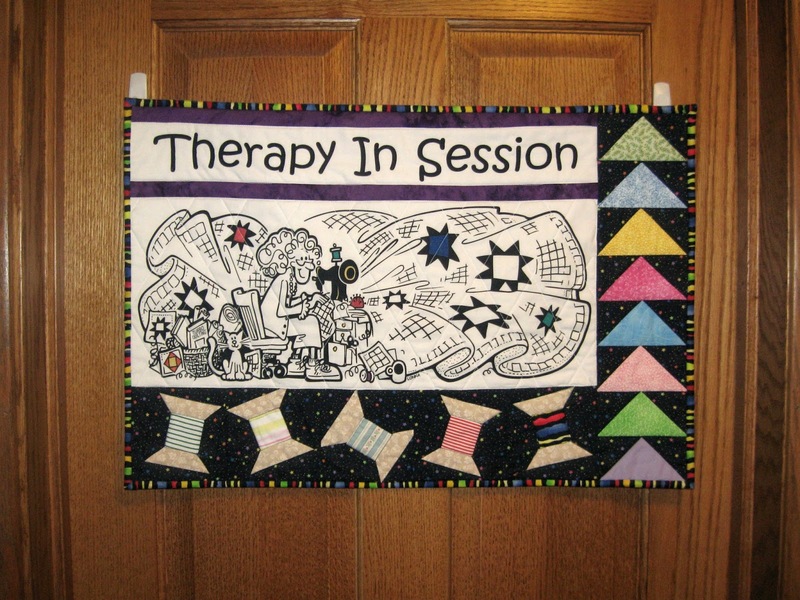 The entrance to her "studio" explains what many of us feel! Now, as you look at next 3 pictures, aren't you amazed by how Eileen was able to hang from the ceiling and get these shots? 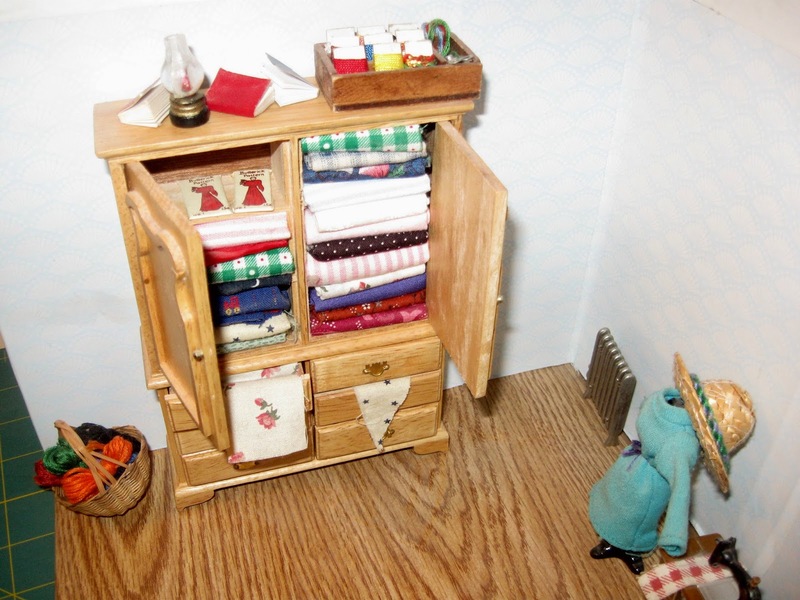 Well, the truth is, Eileen's daughter made this little doll-house size sewing room! 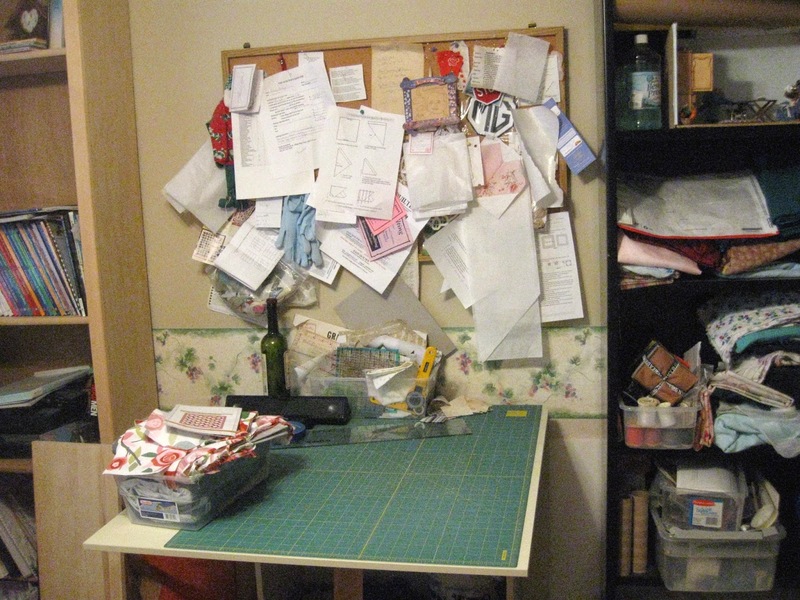 Notice the papers all over the little tiny bulletin board in the 3rd picture. Now look at the real life bulletin board! 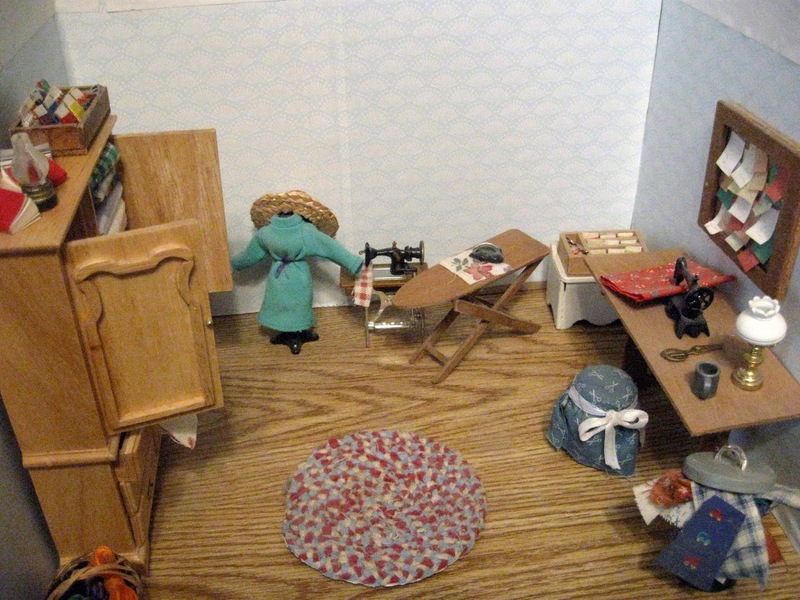 I would say that the teeny tiny room is a pretty good depiction! Thanks for sharing, Eileen! And that lovely new Bernina looks great in there! Wondering how she decides what colors to use? And from there, the rest is history! 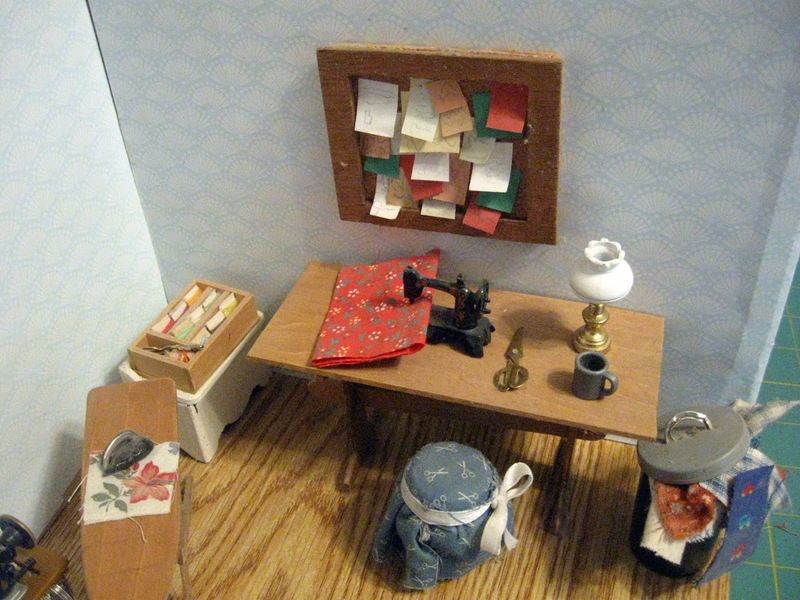 Is it Aneela Hoey's fabric "Little Apples"? If yes, I may have just a smidge or a charm.